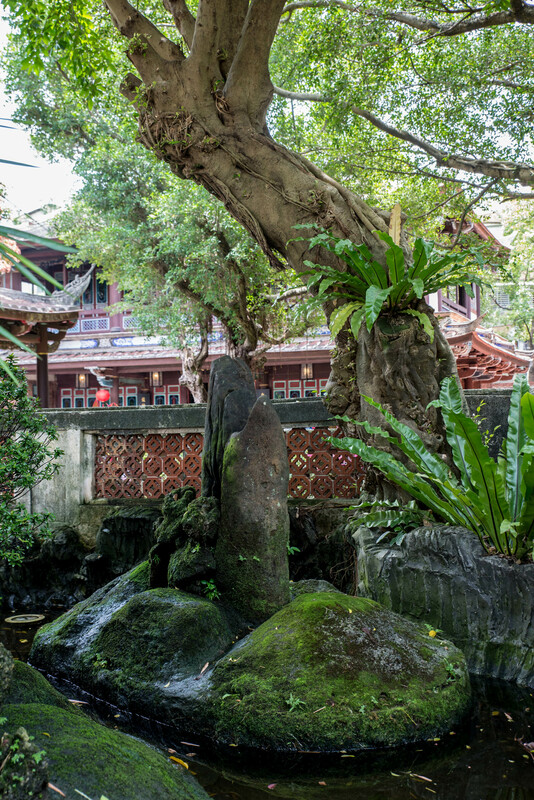 Taipei’s Lin Family Mansion and Garden is an off-the-beaten track type of tourist destination, ideal for getting away from tour groups and the profound heat of summer in tropical Asia. 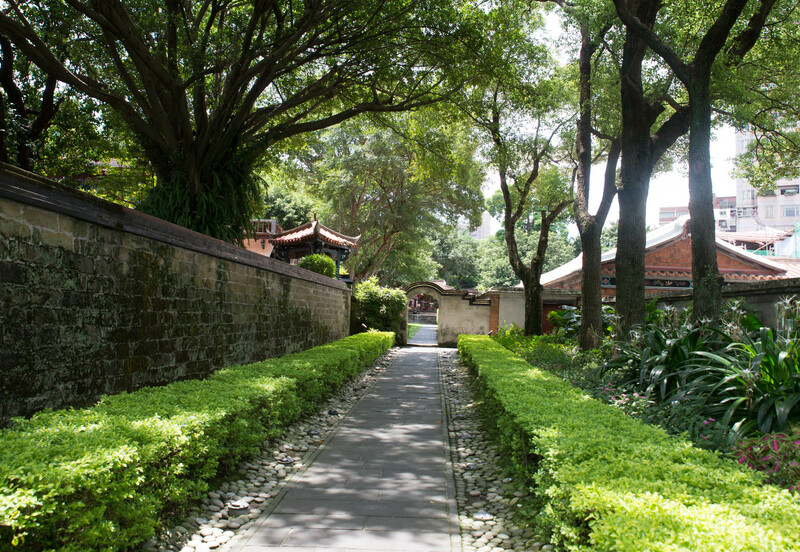 This lush and quiet park was constructed as the personal dwelling of the Lin Ben Yuan family, one of Taipei’s most wealthy and prominent families. 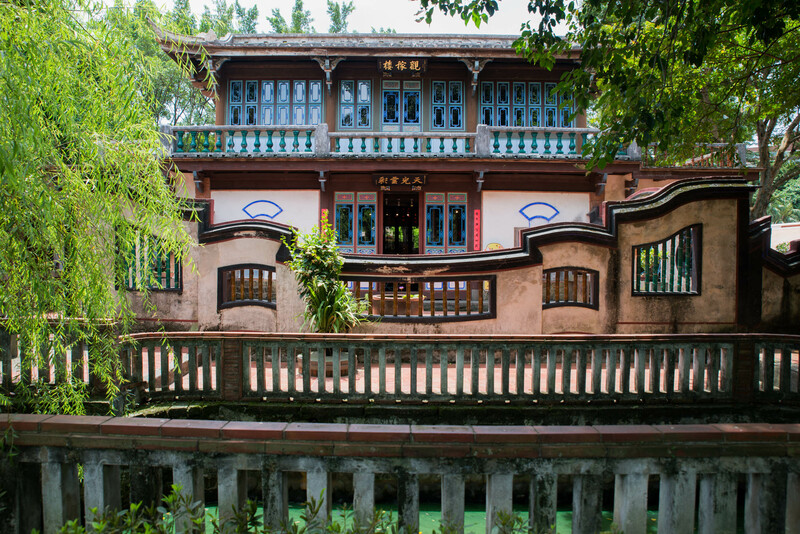 Militiamen were stationed here until the Japanese occupation began in 1895, as mainland Chinese immigrants from Zhangzhou and Quanzhou battled it out. 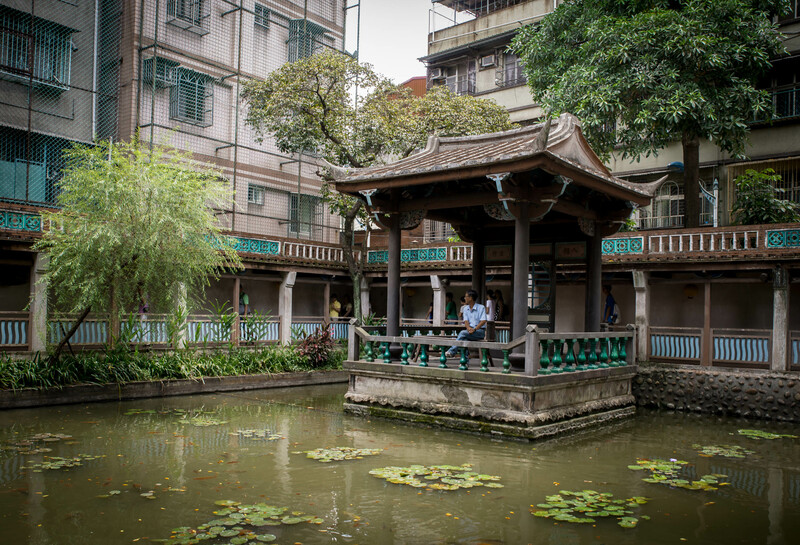 Lent by the Lin Family to shelter mainland soldiers in 1949, part of the garden was donated in 1977 to the city of Taipei. It was restored from neglect and occupation by squatters in 1986, and (per the inscription outside) has been periodically spruced up ever since. The main mansion and museum here is currently under this exact sort of restoration, and will be open again…eventually. 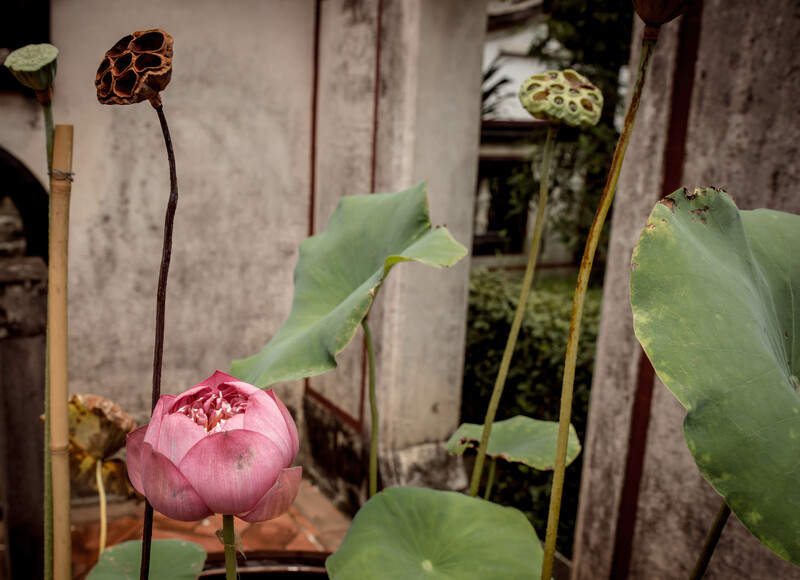 Regardless of the museum, this is an elegant, low-key example of a high born Chinese families residence and grounds, with specialized flower-viewing pavilions, elegant terraced ponds with covered walkways and lotuses, and carefully marked plantings of local trees. Entry is free, and in the summertime, the park is largely occupied by locals taking a stroll and students gathering together to do their homework or sketch the buildings for art classes. While at the garden, I briefly talked to an older man in a white sun visor, who worked for the Taiwanese FCC equivalent. We were both trying to identify a bird, which eventually landed on a branch near us — resembling a fat and unusually saucy magpie. 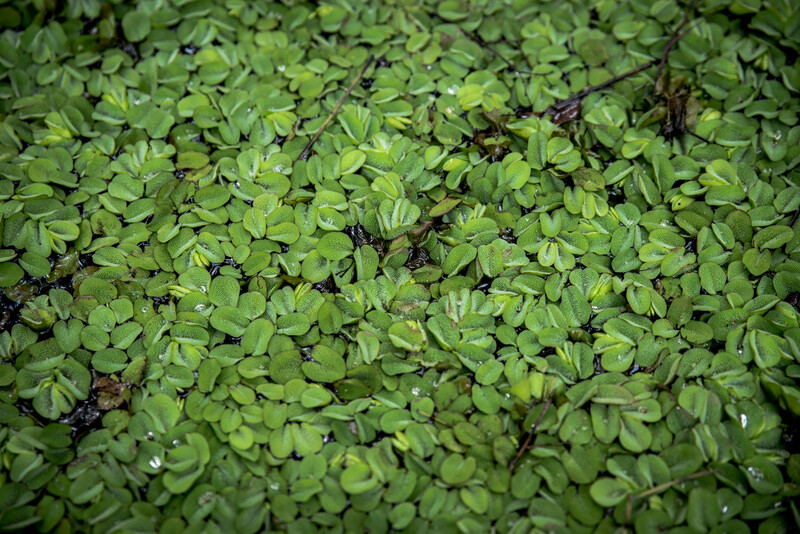 Bed of green water plants in a pot. I reassured him that Washington DC, which he visited regularly during the cooler months, was just as loathsome in the summertime. I could tell if he was unsure whether to believe me. I was reminded again that the Taipei Taiwanese are exceedingly friendly for a bunch of harried urbanites — striking up conversations on the MRT, lending directions, combing their cellphones intensely for the titles of restaurants if you express mild concern over directions. 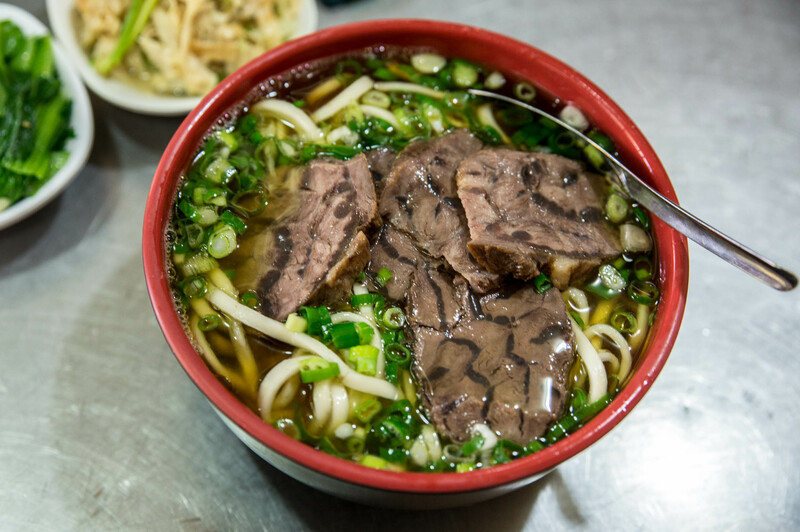 Lunch time beckoned, and I decided to try out Lin Dong Fang Beef Noodles, which gets a slavering amount of online attention for their particular rendering of the Taiwanese speciality. I got back on the blue line and headed for the Zhōngxiào Fùxīng Station, then made my way to No. 274 Bādé Road Section 2, following the metro line then turning left. (The map in the MRT station was much more specific than the rather gauzy English-language map offering of the hotel). There was nothing approximating English signage, as one should quite justifiably expect in Taiwan, but a line of hungry looking business people and a massive pot of stewed beef seemed to indicate I was in the right spot. I waited for a few minutes and was shown to a table right by the open kitchen. 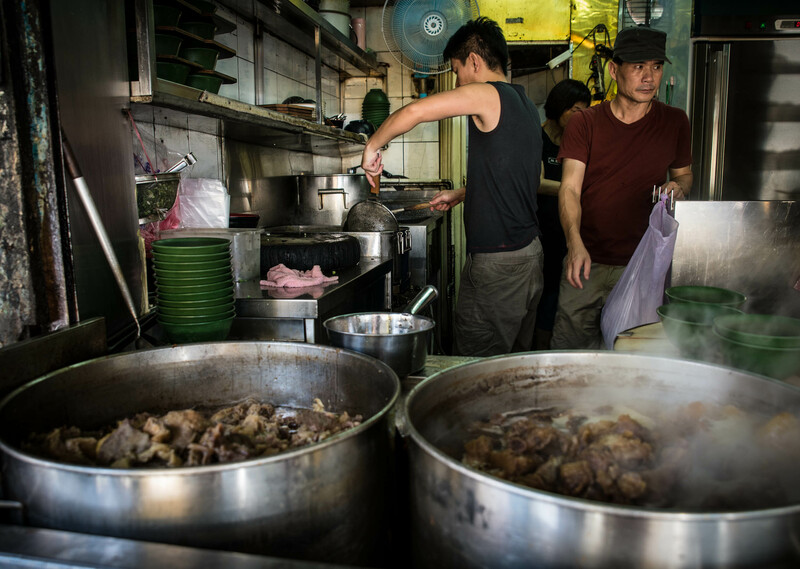 I pointed at the man next to me’s bowl of steaming beef noodles and was served promptly — grabbing a couple of the vegetable side dishes on offer to accompany my soup. The flavor was rich and herbal, reminding me of a slightly sweetier, earthier rendition of good old Vietnamese pho. The noodles were thick and chewy, rather like udon. The beef shank had been cooked long and slow and had taken on a velvety, fall-apart texture, with remarkably attractive fatty marbling. I tried reaching for the chili paste and was firmly pushed in the direction of Lin Dong Fang’s signature condiment, a combination of chili and lard that added fatty, smoky unctuousness to the soup. My only mistake? Not knowing how to order the beef AND tendon combo. Next time. 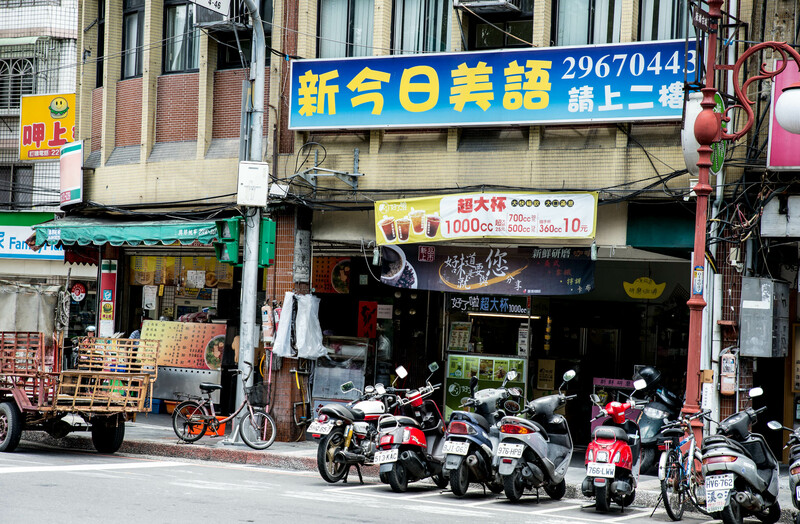 Located on Ximen Street in Taipei’s Banqiao District, it’s easiest to just hop on the MRT to get here. Get off at the Fuzhong Station on the Banqiao or “blue” line, and then follow the eminently convenient English language signs to the gardens itself. There are plenty of nice little street cafes and coffee shops in the area, and it makes for pleasant strolling after you’re finished with the gardens proper.